Hello there! Time for my September Unblogged Files! 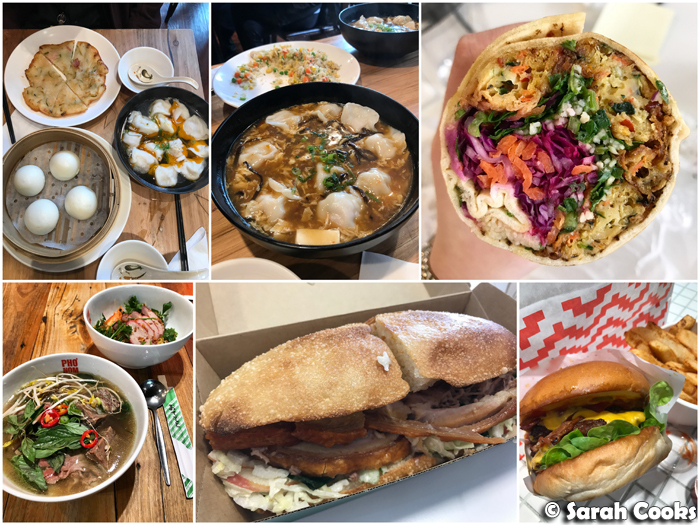 September was a much better month than August - I got over my cold, work was still busy but not out-of-control, I spent heaps of time with friends and family, and I even managed to get back to the gym. Whoop! I had a cold for the first week of the month, and spent a good week at home recovering. 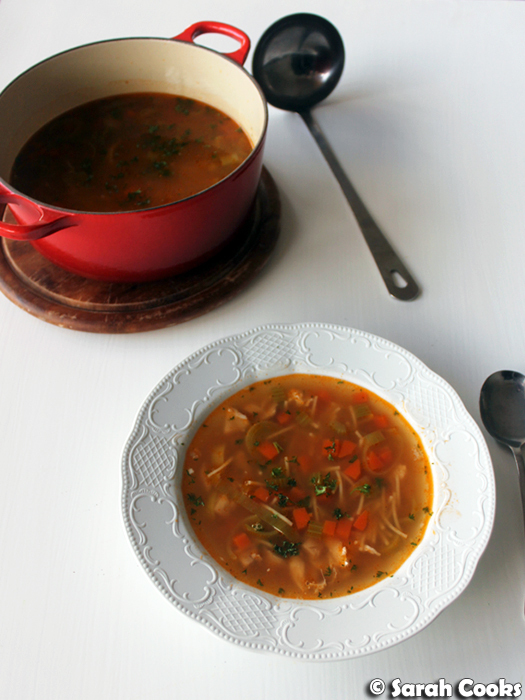 I also made Smitten Kitchen's chicken noodle soup, which was delicious and definitely felt like it was healing me. I tried to avoid coffee when I was sick, so that it wouldn't aggravate my throat, and also because I didn't want to leave the house. By the fifth day I cracked and ordered a cafe meal and coffee from Mammoth. It was glorious! 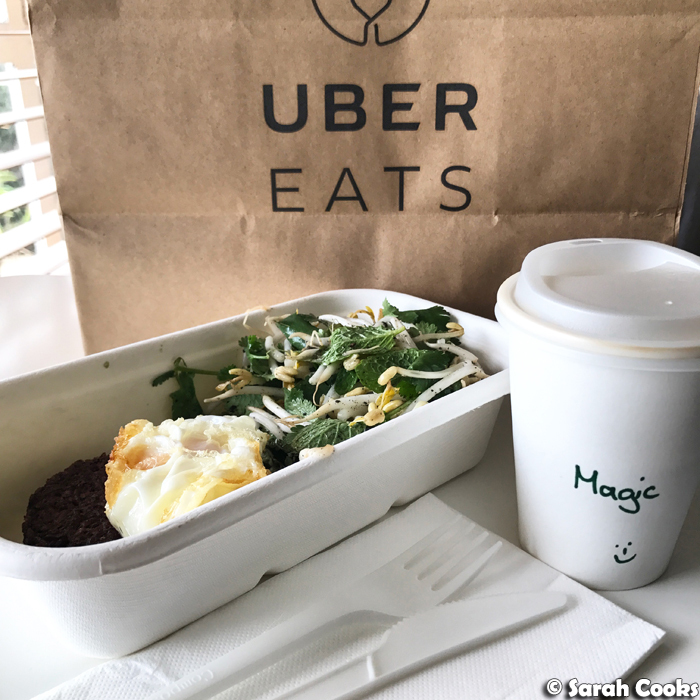 In addition to my usual coffee (magic), I got the chilli chicken, chicken fat fried egg, red rice, herb salad, shallots. It was so good - the punchy chilli and herbs were much appreciated after a week of eating food with restrained, subtle flavours. Definitely want to go for brunch there now. Here are some homemade dinners and lunches! 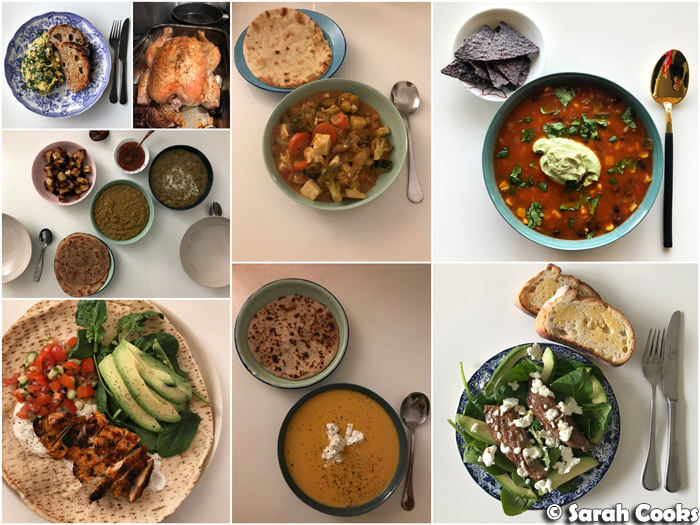 Sandra's been eating more vegetarian food lately, and has bought a bunch of vegetarian / vegan cookbooks - lots of Indian curries and vegan soups have been featuring. 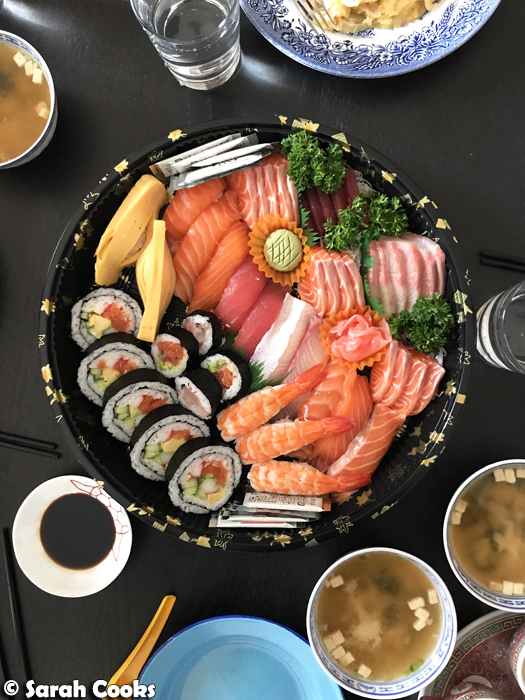 Work lunches! I've recently gotten into the wraps at the Borek Bakehouse (481 Elizabeth Street, Melbourne VIC 3000) lately. I'd never noticed them before, always being distracted by the fluffy pides, boreks and gozlemes, but a colleague got me onto the wraps, and they're great! Only $3.50 and full of tasty vegetables. The felafel filled one and the zucchini patty ones are the best. And for his farewell I baked a cake! 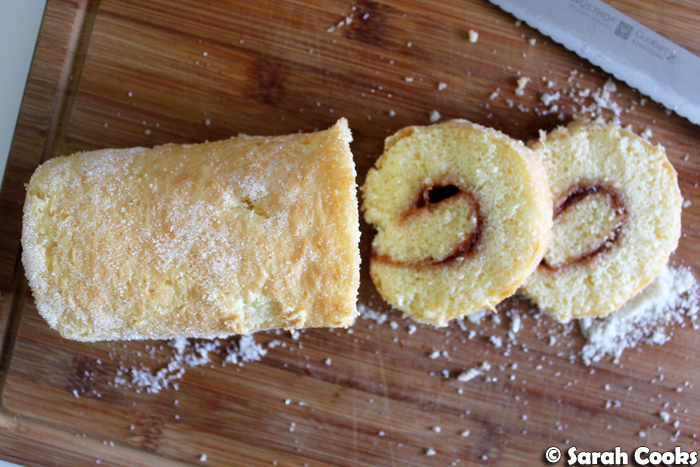 The Jimbo Cake, naturally. 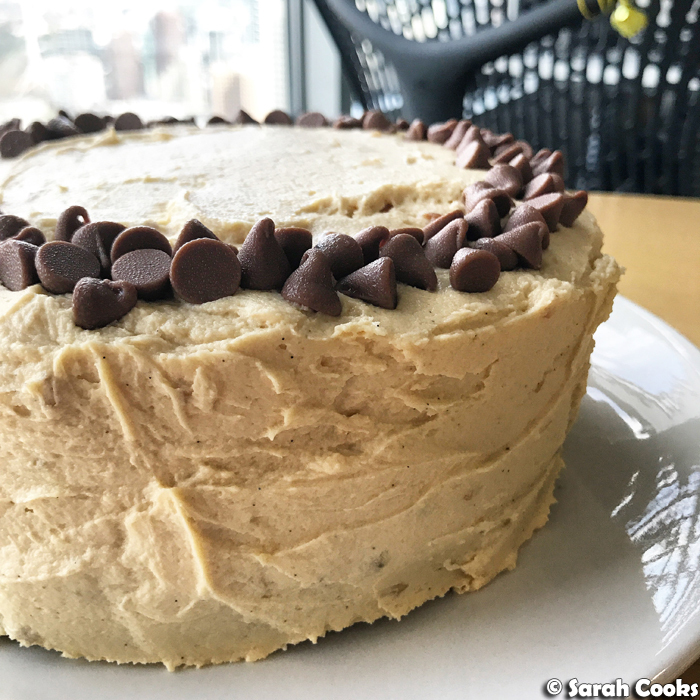 That's a banana choc-chip cake with peanut butter cream cheese icing. We entertained quite a bit in September. Yay! One weekend, we had our lovely friend Gabbie over for lunch. 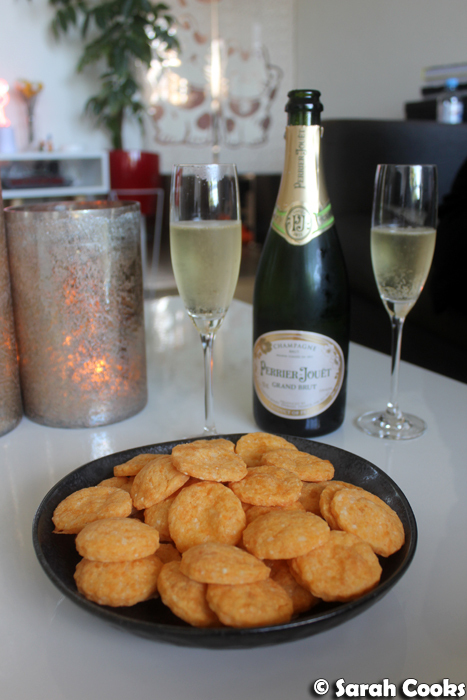 We started with Nigella's cheese stars (baked in circles because I misplaced my star cutter), and fab champagne brought by Gabbie. 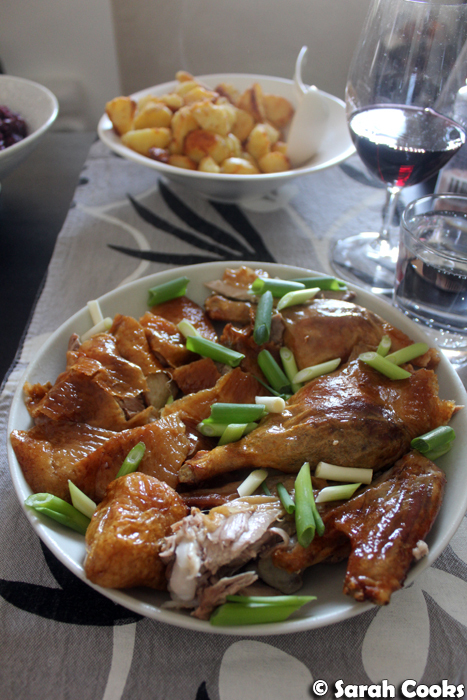 For our mains, I roasted a duck, served with duck-fat roast potatoes and red cabbage. Dessert was Nigella's cherry pie. One weeknight we had my buddy Jimbo over for dinner, a general catch-up but also but also a thank-you for working so freaking hard in the last little while. His girlfriend Jenni couldn't come, and I'm slightly embarrassed to admit that the theme of the menu ended up being: "things his girlfriend can't eat". 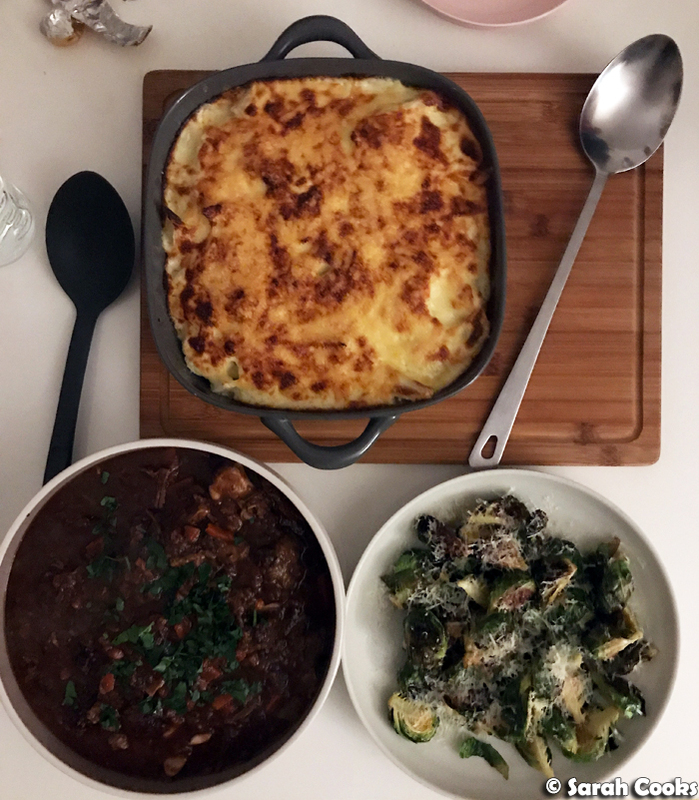 I made a rich oxtail stew (in the slow cooker the night before), cauliflower cheese, and roast brussels sprouts. Comfort food to the max! 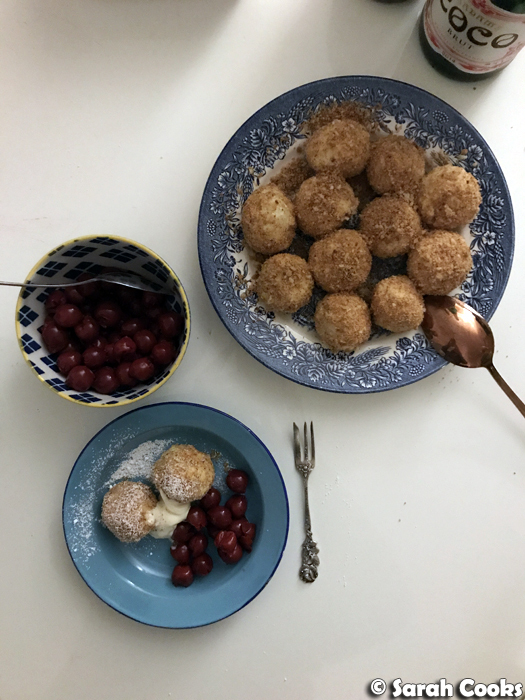 For dessert, I made something brand new (for me) - túrógombóc, Hungarian cottage cheese dumplings. I chose these because they'd been on my to-do list for a while, (and yes, because Jenni would have been allergic to these dairy bombs), but also because I thought Sandra would love them, because they seemed similar to her German grandma's semolina dumplings. Dishes like these are unusual here but seem common throughout Germany and Eastern Europe. These túrógombóc are dumplings made of cottage cheese, eggs, and semolina, which you boil, then drain and roll in fried breadcrumbs. They're traditionally served with sour cream, and I added sour cherries too. We loved them! They were a huge hit with Croatian Jimbo, German Sandra, and general-greedy-guts Sarah. Definitely would make again. And on the Grand Final Friday public holiday, we had our friends Adri & An over for brunch. 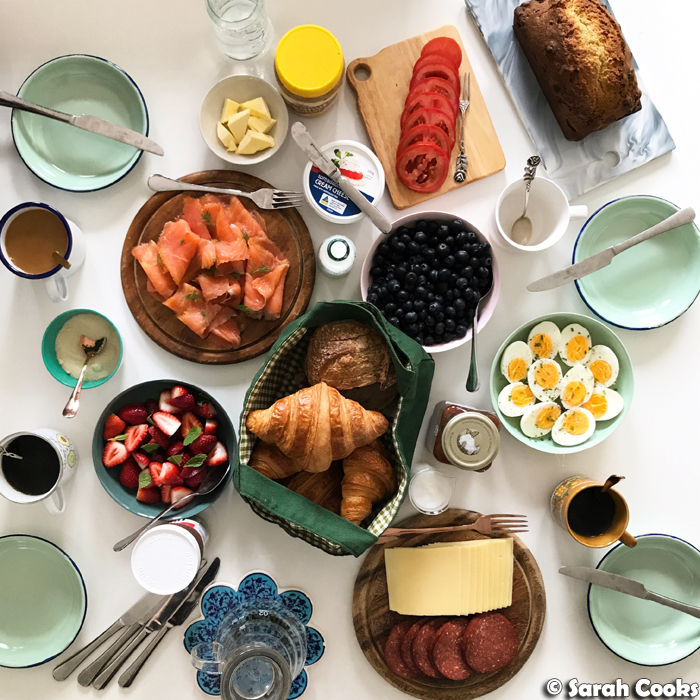 To keep it easy, we made it a German-style breakfast, laying out heaps of delicious breakfast foods on a share table - smoked salmon, cream cheese, hard boiled eggs, fresh fruit, sliced cheese, salami and tomatoes, spreads, bread & croissants, and a big pot of coffee. (I also baked a little raspberry-flecked sour cream cake for funsies). Ok, in September, I went to see The Book of Mormon for the second time, with my friend Alaina. (I'm obsessed with the soundtrack, and am thrilled that they've extended the season to December! I definitely want to go again). Before the show, we stopped in for dinner at the always fabulous City Wine Shop (159 Spring St, Melbourne VIC 3000). 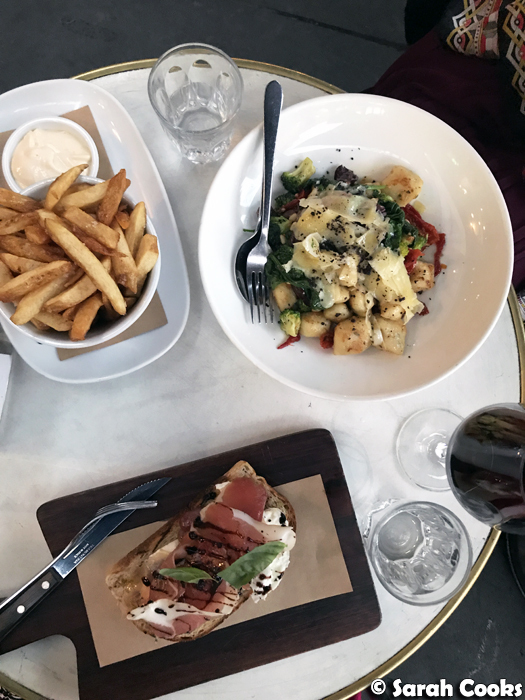 We had truffle chips, gnocchi with Comte (and other deliciousness), and bruschetta with buffalo mozzarella, grapes and prosciutto. 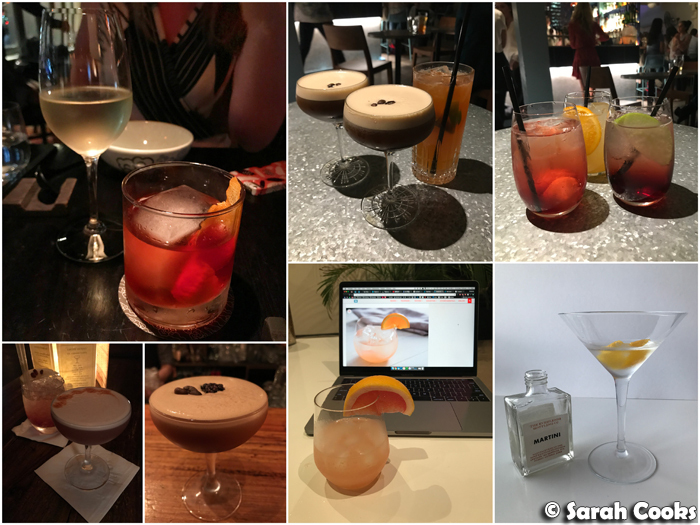 Looking back at my photos over the month, it seems like I drank lots of cocktails. (Don't judge me). I've put the locations in the captions below, but special shout out to queen of homemade cocktails Sandra, and the delicious Great Gatsby cocktail from Serious Eats that she seemingly effortlessly whipped up for me on Friday arvo. And one day as a surprise, she had some bottled cocktails delivered to me from The Everleigh. I always thought I hated martinis but now I realise I like them. Woop! I went to see It at the cinema (huge deal; I saw the preview months ago and really wanted to see the film, but thought it would be too terrifying, so I decided to read the book beforehand to prep myself, all 1000+ pages of It. It was a big effort but totally worth it - I loved the book, and quite enjoyed the film). 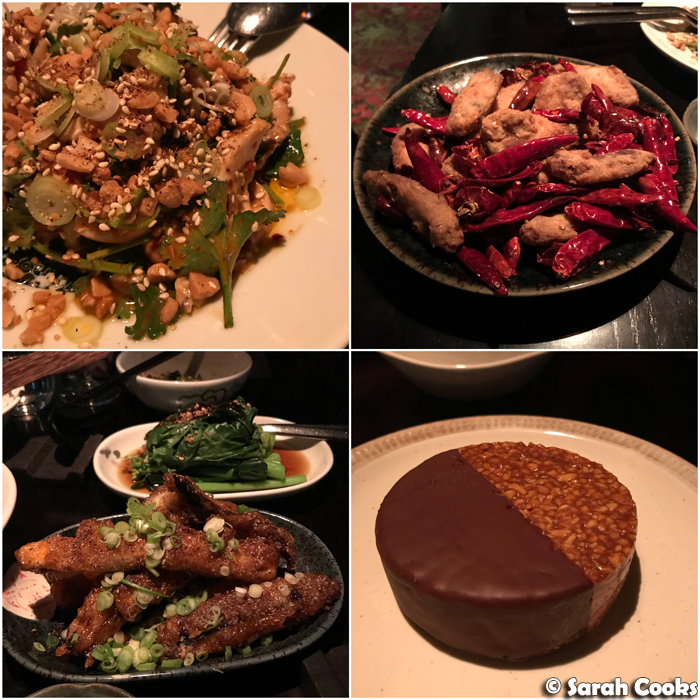 Anyway, after the film we debriefed, discussing shapeshifting killer clowns over cocktails (ahem) and well-crafted regional Chinese food at Spice Temple (Crown Complex 8 Whiteman Street Southbank 3006). It's still one of my favourite restaurants! 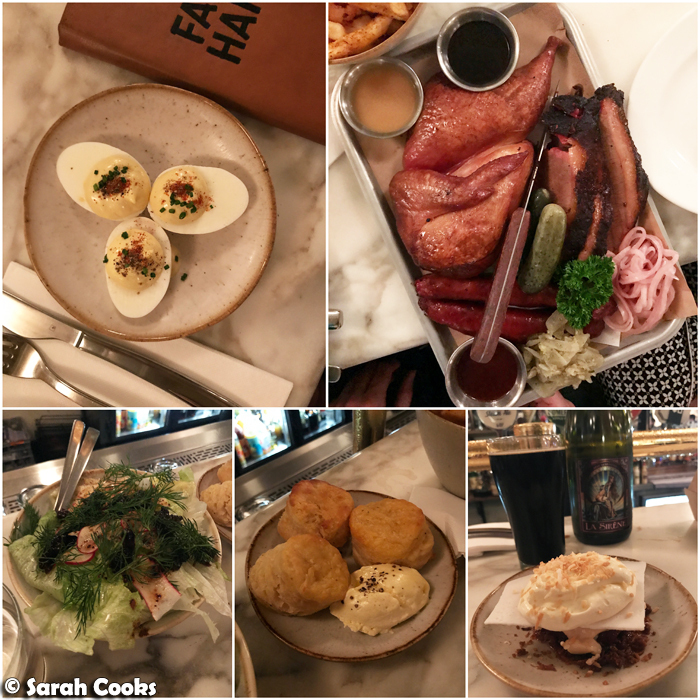 One week, Friday night drinks turned into dinner at Fancy Hanks (Level 1, 79 Bourke Street Melbourne, VIC 3000). All the meeeeeeat. And definitely all of the ridiculous buttermilk biscuits with maple butter. Incredible. 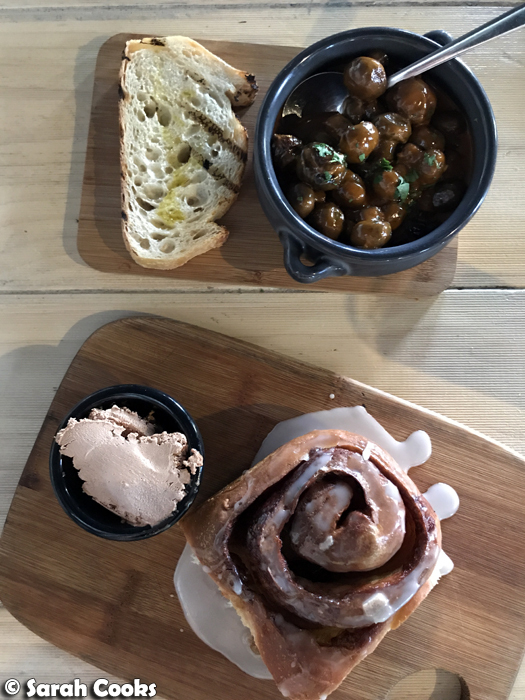 The next day, we went in the total opposite direction, for a vegan lunch at Smith & Daughters (175 Brunswick St, Fitzroy VIC 3065). The Smith & Daughters cookbook was one of the vegan / vegetarian cookbooks that Sandra bought, and after trying their wonderful tortilla soup recipe, we were super keen to visit the restaurant! 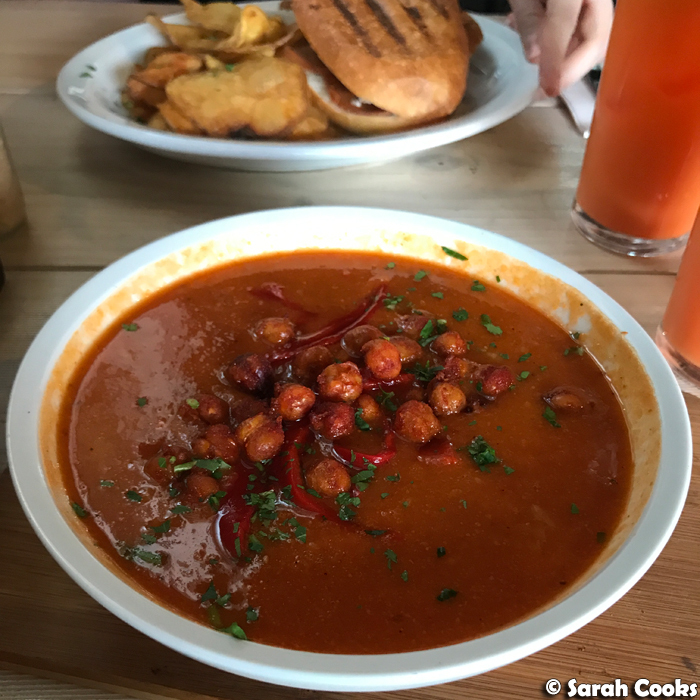 I loved the spicy piquillo pepper and chickpea soup, and the toasted (vegan) chorizo and (cashew) cheese toasted sandwich was also very good. 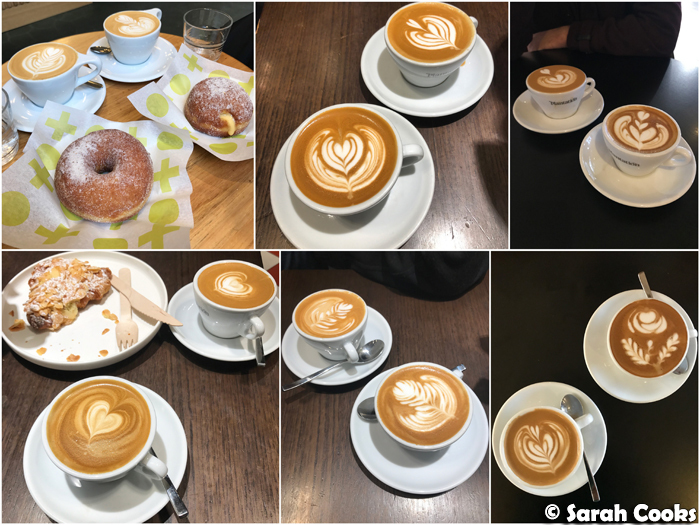 Embarrassingly, after lunch we went for a walk, met up with our friend Alaina, decided to have a coffee, and then just came straight back to Smith & Daughters. "Heeeeey guys, we're back! And we brought a friend!" Anyway, the mild embarrassment was worth it so that we could share the super fluffy, baked-to-order, almond turrón bun. Plus garlic mushrooms because WHY NOT. 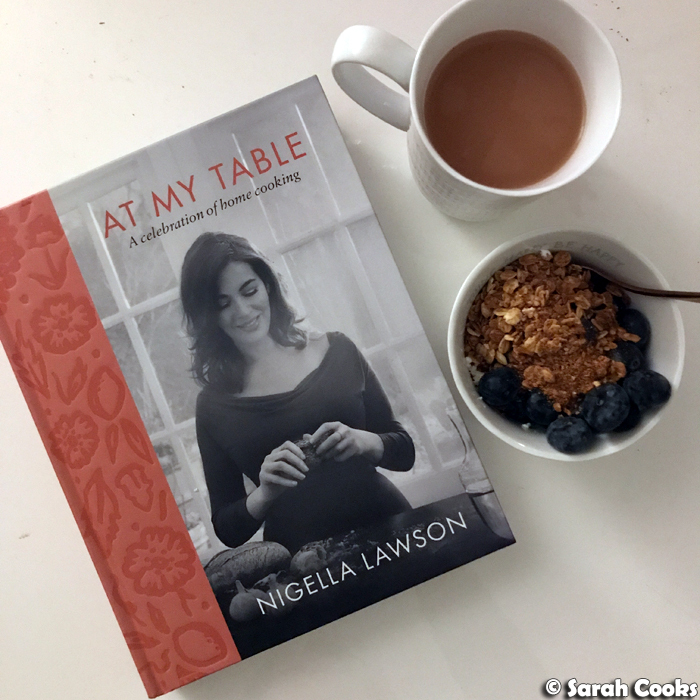 Finally, Nigella's new book, At My Table, came out! I absolutely love it! I've enjoyed, but haven't gotten super excited, about Nigella's most recent books after Feast and Kitchen, but I've been loving At My Table, and have literally sat down and read it cover-to-cover. Can't wait to get stuck into the recipes! (You'll see I already made the raspberry-flecked sour cream cake, without the icing). Have you made anything from At My Table? What's on your list? Yay! That was September! Plans for October? 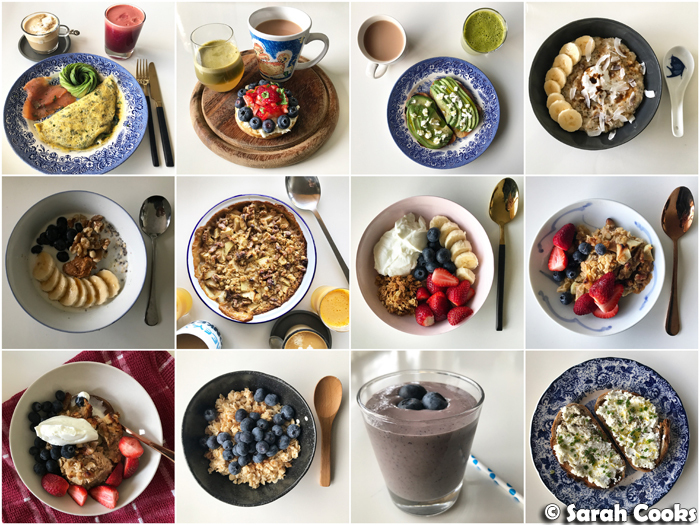 Try and keep up the positive energy and momentum from September, but also brunch. Woop woop! I like the flavours, but wasn't won over by the texture - it was quite soft. I enjoy the chewy crumbliness of meat chorizo. But in the sandwich it was good!